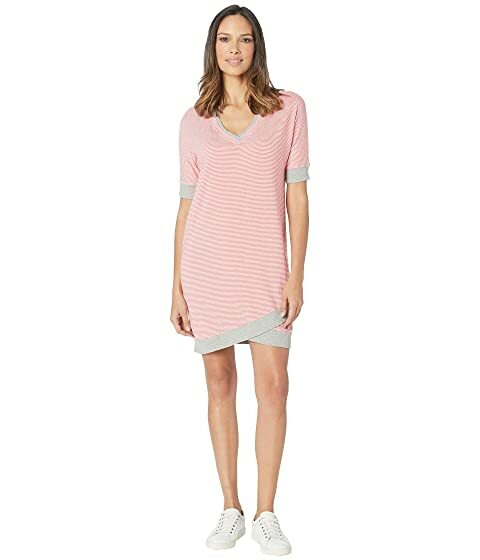 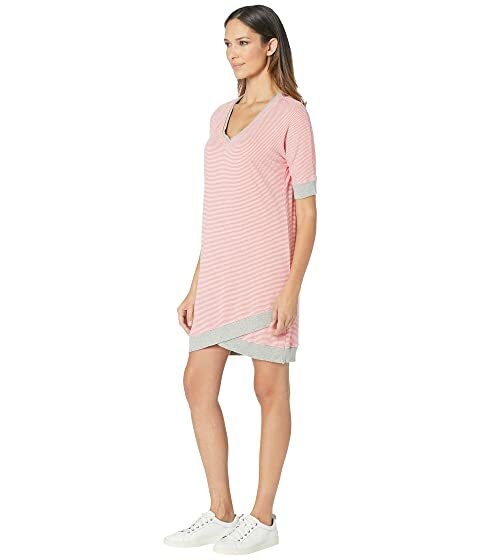 Start your day with easy-going style and comfort from this stunning Mod-o-doc™ Skinny Stripe Dolman Sleeve T-Shirt Dress with Rib Trim. 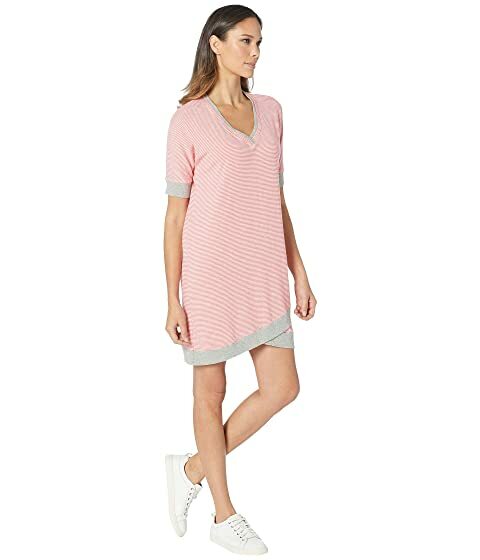 Skinny stripes create a fun look on this relaxed T-shirt dress. 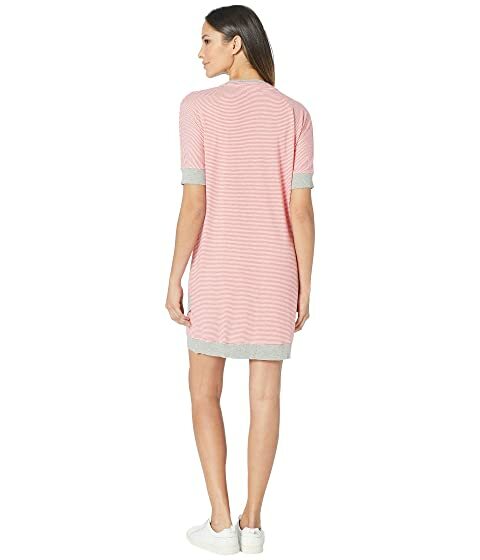 Ribbed trim along the neckline, cuffs, and hem.